What is Aland Island Baltic Sea Adventure? This is another Project envelopment Amateur Radio and Tourism. We never been in Baltic Sea ! We've look around, and found out excellent conditions here on this Friendly Aaland island. Of course we have no problem with language and also to get license and permitions to operate , you can also enjoy a small vacations with some fun operating radio just bring your gear and small antenna and you can disfrute a nice vacations. But Remember you shouldn't monopolize your hollidays spend time to visiting Mueseums, Sightseeing, take same photos, speak with islanders friends, share you culture with others . Welcome to ALAND Islands in Baltic Sea.. The purpose of this web is to promote Amateur Radio and DX and explain why we choose these Beautiful and Peaceful Islands. This is also can be a good way to human relationship and cultural knowledge between people from different cultures. Where is Aland Islands ? 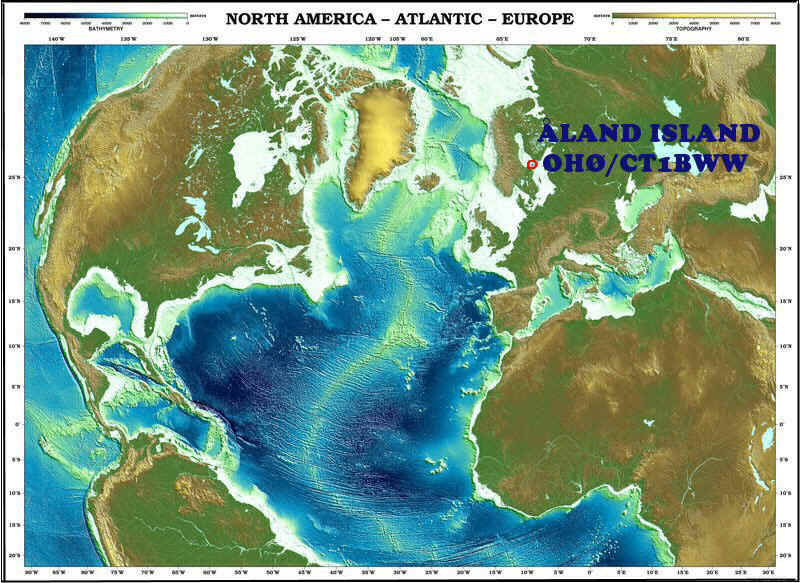 Aland islands are located in Baltic Sea between Sweden An Finland crossed by 60 º Paralell North. Is a beautiful and Peacefull Place . The nature, the Hospitality from Nordic People and Quite place are the important reasons for a SUPER Vacations. You can have all informations about Aland in many places but you have to visit the Oficial Site of Aland . Ther are lot of conections on the sea and by air to the islands from Finland and from Sweden. Inclueding from South of Europe it's very easier . From Portugal or Spain there are Regular flights to Helsinqui and from there you have conections by flights directo to Marieham FAST Aland . We've provided a number of resources here to help you how to visit Aland , an prepare a Super Vacations with your family on Nordic Island of Aland. Ofcourse suggest improvements to our objective encourage new generation operators and promote amateur radio. We leave Lisbon on 26th July at 22h30 (Local) and arrived Helsinqui International Airport on 27th July (05h00)Local . There are 2 Hours differerent between CT and OH. At.10h30 we take the Flight to Marienham on Air ALAND . On Alands Airport our Car (we've rent on ST1) was awaitting and than take the 1 Route , 3 Route and finally we arrived at Lemland . Very Nice and Quite place with Forest and a particular sea view and boat. I start to mount the Vertical. My station was LOW-POWER just 100 Watts with a Kenwood Transceiver. On Aland Island we'd only 3 hours Night all the rest are almost daylight. This year I'de change my operation style, NOT looking for break any Rekords, NOT use High Power, Not Many Antennas, NO STRESS AT ALL. I didn't made any QSO on RTTY due to a damage on Cable Connection between Micro-Hamkeyer and Transceiver . My idea is spend a Nice and Quite Vacations disfruting the place, visiting islands around , Museums and sighteseeing. On total We've drive around 500 Kms visiting different Islands and Places from Aland like Finsstrom, Saltvic, Eckero, Hammarland, Luparland, Mockero . There are lot of Birds on everywhere on the water on the forest , my Xyl took many photos. Dedicate time to the Nature we decide to take a sea tour for visited seals. I operate mostly on A1A Mode (CW), even I'm NOT a SUPER Operator believe I've tried my best . Of course I recognize that I'm improving and perhaps Next time I will be better. On the final I've Made 2.600 QSO's . The Propagation condtions were Not Good most of the time with strongly QSB Signals. No Conditions at all on 28 MHZ (10 Meters Band) , on 24 MHZ I've a few on the Log on Phone and CW . I've spend half an hour calling Phone and CW. 17 Meters was good conditions on SSB and CW many South Europe stations with good signals. 20 Meters Band usually open dayli and in the Night I've made many QSO's on CW. 30 Meters (10MHZ) was my favourite band work Lot of DX with my vertical antenna includes PY, V7, ZL, KL, those stations with good signals . I must Say that Many Stations from Asia including JAs, UA9, UA0 with Very STRONG Signals . On 7 MHz (40 Meters) the band very Noisy special at evening, but was nice to hear some good friends . I took my wire Gustav Kelemen Antenna for Warc and 10 to 80 Meters. On 80 Meters I couldn't have a good result so I Give up to dedicate time for 80 Meters. Thank you very much for all the QSO's . Was lot of Fun with some pile-ups on Phone and CW . Many stations work me on more than a 2 Bands and 2 differente Modes. Our objective was encourage new generation operators and promote amateur radio. All complete Log already uploaded on web-page. If your call appears incorrectly just let me know and i will check again the details on QSO. My greatful for following who made possibility my trip to Baltic, OH5DX Ari, OH1MN Markus, Mr. Joahnsson, Mr. Karlssrom, Mrs. Marie Louise, Viking Line, Air Aland, Phillip from ST1 Rent Car, Marienham Bibliotec . lot of Fun with some pile-ups on Phone and CW . Many stations work me on more than a 2 Bands and 2 differente Modes. Our objective was encourage new generation operators and promote amateur radio. All complete Log already updated and on-line. If you visiting Aland Islands In the summer you can also call directly to Märket to hear if you can moor your boat at the island, phone +358 40 8499 333, 9 am-9 pm in June-August From Eckerö there is a fast cabin boat connection to Märket. The drive takes 45 minutes. The boat stays around two hours on Märket. Next propable dates are 28.-29.7. and 4.-5.8, also trips on demand. Also other dates possible. For smaller groups (3-4) there are direct boat connection from Mariehamn when weather allows. My Sincere Apologies and sorry for those who expected for my Operation as OJØ/CT1BWW but due to have only a few hours on the island and because TWO Operations approach OJ0B and OJ0J Suomi Operatores and Japanese Operators I decide to postpone my operation from MarketReef for other time. But certainly I will be back to Market Reef. the Worked All Europe CW Contest as OJ0B. OH2TA, Pekka, and OH3JR, Henry, will operate OJ0J mainly on the WARC-bands, CW, SSB and RTTY. hopes the winds are not too strong to let them move all the antennas, radios, fuel and food onto the rock. " Promoting Amateur Radio and DX! 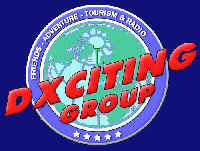 Date: DXpedition from July 26th to August 6th, 2009. Currency: Euro € is the official currency but most service spots also accept Swedish crowns. A total of more than 6 500 island of which 65 are inhabited. Here you can see the actual Solar Flux A-Index K-Index X-Ray Also the conditions per Band. Conforme se pode ver no Mapa abaixo o Arquipélago das Aland (Åland no sueco, Ahvenanmaa em finlandês)ficam situadas entre a Suécia , aproximadamente 65 milhas leste de Estocolmo, Sweden. Os primeiros habitantes das ilhas foram os povos de Nordic, chamados hoje Alanders. Os povos de Aland desenvolveram uma árvore geneológica específica, diferente de outros escandinavos, estando isolado e uma forte ligação ao mar. A maior parte dos Alanders é considerado ser Sueco. Os Alanders , habitantes de Aland foram influenciados por culturas suecos e dinamarquesas no desenvolvimento adiantado de Escandinávia. Hoje, o Arquipélgado de de Aland são uma província autónoma com um dealeto sueco de Finlandia. O Arquipérlago das Aland é composto por 6.500 ilhas, ilhéus e ilhotas rochosas que cobrem 572 milhas quadradas e conhecidas como lugar de Turismo, Lazer. A maior Ilha é chamada Fasta Åland (Ilha principal de Aland) onde habita 90% da população. Estende sobre mais de 70% da área de terra total de Aland. A população de Aland no século XVIII era aproximadamente 11.000, habitando 80 ilhas. Em 1905 havia uns 22.000 habitantes, vivendo em 150 ilhas. Hoje apenas existem 25.000 habitantes residentes ocupando sómente 65 ilhas. Quase metade da população vive em Mariehamn, a única cidade em Aland. O distrito o menor, e igualmente o menor em toda o Finlândia, fica no distrito exterior na ilha de Sottunga, com apenas 130 habitantes. Desde há muito que se sabe que os Alanders foram povos nórdicos faladores suecos, com sua cultura que se assemelha próxima àda Suécia, com variações locais. Durante o século X os estabelecimentos densos começaram no ilha principal onde um grande número cemitérios do farmstead e fundações da casa ainda existem (da era 800 - de Viquingue ANÚNCIO 1000). As conexões de comércio extensivas foram feitas com os países vizinhos em o 1ø século (veja rotas de Viquingue), e os primeiros traços de cristandade emergeram. Aland' as igrejas as mais velhas de s foram construídas durante o século XII. Aland e Finlandia transformaram-se peça da coroa sueca sob o rei Olav durante o século XIII. No século XIV, foi construído na ilha principal principal, em um o castelo de Kastelholm viu principal centro nos séculos XV e XVI. Nos Séculos XVII e XVIII as ilhas foram palco de muitos conflitos, forçando muitos habitantes aos a abandorem as ilhas e fugirem para o continente suecos e finlandeses. As you can see on the above map the Aland islands (Åland in Swedish, Ahvenanmaa in Finnish) are positioned between eastern Sweden and southwestern Finland, about 65 miles east of Stockholm, Sweden. 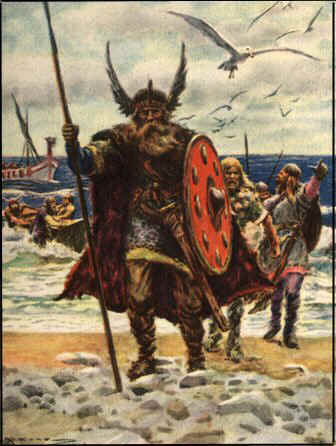 The islands were originally settled by Nordic peoples, today called Alanders. The Aland people developed a specific geneology, different from other Scandinavians, being both isolated and connected by sea. Still, Alanders are considered to be Swedes. The QTH is situated on the sourthern part of the Lemland island , near to the village Knutsboda. A brief story about Viking in Åland During the Viking Age Åland was organized into stable community system. The archipelago offered many sheltered natural harbours for the merchants, and Åland became involved in transit trade. Today these islands are autonomous part of Finland, but culturally they are still Swedish . Åland is an autonomous and unilingually Swedish region in Finland with its own flag; a blue flag with a yellow/red cross. Åland also has its own stamps, licence plates and its own top domain (.ax). There are a total of 25,392 persons living in Åland in 16 different municipalities. Of them some 10,800 live in the only town in Åland, Mariehamn. The town was founded in 1861 and is today the centre for industry and politics. Here is also the Åland Government, called "Landskapsregering," located. The most important industries in Åland are shipping, trade, banking, farming and food industry. Shipping has always been especially important for Åland and no other industry has had such influence on the population. Visit the Maritime Museum, the Museum Ship Pommern and the Maritime Quarter in Mariehamn to find out more about the exiting shipping history. Unique for Åland is the untouched archipelago and the beautiful bedrock, worn smooth by the inland ice, with the typical red colour of the Åland granite. With its 6.500 islands Åland offers an island world where the sea is always present. Did you know that Åland has the most sunshine of all the Nordic countries from May through August? Distinctive for Åland is also the midsummer poles with their colourful ornaments and the old-fashioned windmills. You find them for example at the Jan Karlsgården open air museum in Kastelholm. The museum also depicts a typical Åland farm from the end of the 1800's. There are lot of services you can use on Alands, Some are really very special and for Tourist . During the last two years we have seen gigantic strides made tronic-radio equipment and the end is not yet in sight. Now we are hearing a great deal about micro-miniaturization. Where will it all end? No one yet knows; but we are inclined to think that from radio amateur's viewpoint that the appearance of an all-band transceiver (having a power output 100 to 200 watts PEP) housed in a cabinet the size of a cigar box is more than a few years off! There will always be a practical size for ham equipment beyond which nothing would be gained by making it any smaller. The reason of course that there is so much solid state techniques is the needed for such equipment a rocket must lift and carry is very important - but when is so important that a ham transceiver be reduced in weight from 4 to 8 kgs? Bird Watching where you will be. Bird Watching Birdwatching or birding is the observation and study of birds with the naked eye or through a visual enhancement device like binoculars. Birding often involves a significant auditory component, as many bird species are more readily detected and identified by ear than by eye. Most birdwatchers pursue this activity mainly for recreational or social reasons, unlike ornithologists, who engage in the study of birds using more formal scientific methods. Aland Islands is unique for Bird Watching there are endemic birds. Last updated: Agosto 20, 2009 .